Last week, I was in another state speaking for two nights. Tuesday, I had gotten up early and found a downtown diner that catered to the locals. I met a lot of people and put away a big breakfast. A few hours later, my host and another pastor took me for lunch in a buffet restaurant. That evening, I spoke at a banquet where the food was plentiful, delicious, and memorable. Late that night, back in the hotel, I turned on the computer, read my email, and in answer to a question agreed that, yes, I would write an article on gluttony. I am clearly the right guy for this job. Gluttony is a subject I’m well acquainted with. Recently, I announced to some friends my plans to write on gluttony, in case they had revelations or insights. None could recall ever hearing a sermon on gluttony. I haven’t either, and I’m the preacher. Why is that? Why so few sermons on gluttony? 1. Our hypocrisy is obvious. A preacher can wax forth on the other so-called deadly sins (pride, lust, avarice, anger, envy and sloth) all day long, and everyone except his wife will assume he has the issue well in hand and has no difficulty with this particular discipline. If he overeats, everyone knows it. The bulging waistline, the strained collar, the coat that will not button—all speak eloquently to the failure of the preacher to rein in his appetite. Gluttony, like most sins, is a case of a thing of beauty that has been spoiled, a healthy and normal drive that has broken the bonds and runs rampant, a faithful servant who has assumed the throne and revealed himself a tyrant. Okay, enough with the metaphors. 2. The subject is elusive. What exactly is gluttony? It’s hard to nail down. One reason we pastors gravitate to our favorite sermon topics is that they are more understandable, more practical, more easily categorized. But what is there to say about gluttony, other than, “Don’t do it”? Everyone has to eat, and occasionally we may overeat and not consider it sinful. 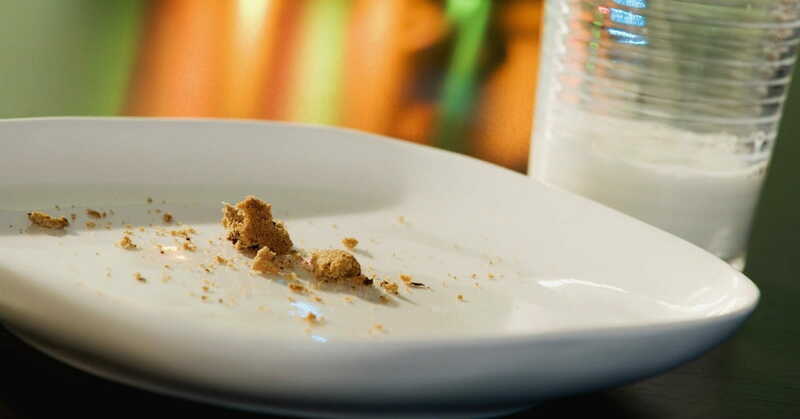 When is over-indulgence at the table sinful? If the preacher brings the subject up, he’d better have answers. 3. Our Scriptures are rare. Preach on greed or anger and you have a wealth of texts to draw from. Deal with laziness and every other Proverb seems to speak to the issue. As for lust and pride, biblical illustrations run rampant—everything from Samson to Nebuchadnezzar to Herod. In the rare article and sermon on gluttony, Proverbs 23:1-2 is among those cited: “When you sit down to eat with a ruler, consider diligently what is put before you; and put a knife to your throat, if you be a man given to appetite.” But I suspect that’s more about making a good impression on the powerful host than self-control and discipline. Doubtless Scripture addresses the issue so lightly because this was not a problem for all but a very few First Century believers. The incredible variety of rich food available to clog the arteries of modern-day believers was not possible even for Caesar, much less the Lord’s disciples who tended to have limited financial means. Therefore, references in God’s Word are rare and limited. 4. Our conviction is weak. While we pastors have little trouble preaching on subjects with which we also struggle, we have great difficulty hammering out sermons on issues we do not feel strongly about. And that’s the problem: we should feel stronger than we do. In his classic The Seven Deadly Sins, Henry Fairlie depicts a glutton as a hog at the trough. He eats, not because he loves the taste of food, but scarfs it down with hardly a thought, shoveling in great quantities of the stuff, all in an attempt to fill an inner abyss that defines his existence. Killing himself softly and slowly, but just as deadly as with a pistol. But for most of us, that is not us. Most of us food-sinners actually love the taste of the food, delight in the kitchen aromas, and revel in good fellowship around the table. So, concluding that the issue of gluttony is not applicable to us, we move on to other issues. 5. Our answers are fuzzy. We pastors want to give specific remedies for the great problems of mankind. The remedy for sin is the cross, the remedy for pride is humility, for envy, love. But what is the remedy for overeating—salvation? Being filled with the Spirit? Love? Prayer? A diet plan? Shopping at Whole Foods? And, since the problems facing members of our congregation are numerous, it’s easy to abandon thoughts of such sermons and move along to more manageable topics such as materialism, stewardship, or prayer. Obesity is the scourge of our times, the Black Plague of the 21st century. Look at an old video clip of city life in the 1940s. How slim people were! Then stand in the mall and look at your neighbors. Obesity is everywhere. Airplanes are re-designing seats to accommodate larger patrons. Hospitals are adding wings to handle the multiple diseases stemming from our gluttonous lifestyle. “Whether therefore you eat or drink or whatsoever you do, do all to the glory of God” (1 Corinthians 10:31). Even though we can find additional texts that deal with the issue to one degree or other, this alone should suffice. Will my eating please my Lord and bring glory to Him? Discipline in one area overflows into related areas. The opposite is also true: let my friend drop the exercise program and the guilt that flows in to fill the void would soon have him devouring the unhealthiest of foods. And, after all this, “the fruit of the Spirit is… self-control” (Galatians 5:22-23. I know the feeling, friend.